Virginia (Gena) Coloff Simmons, 86, of Hamilton, passed away of natural causes on Saturday, August 18, 2018 at Valley View Estates. She was born on July 10, 1932, to Pete and Myrtle Coloff in Butte, Montana. The family moved to Hamilton two years later where she was educated, graduating from Hamilton High School in 1950. She was active with the Order of Rainbow Girls as a teen and later with the Eagles Auxiliary’s Drill Team enjoying when they got a State Title. Faith was important to Mom and she was baptized a member of Hamilton’s Federated Church as a teen eventually serving on boards and committees, maintaining her membership all of her adult life. Prior to marrying she worked as a bookkeeper for Valley Plumbing and Heating. On August 9, 1953, she married James (Jim) Simmons in Hamilton and celebrated their 65th anniversary shortly before her passing. She became a fulltime mother to 6 children and many others who spent time at the Simmons house. Along with raising her family, she was the bookkeeper for the Union 76 gas station, which was owned by her husband, Jim until health issues caused him to find a new career. They supported one another relying on each other’s strength when things were challenging throughout their marriage. As her children grew and entered school, she helped support the family as an Avon Representative attaining the top honor of the Presidents Club. She was a Cub Scout Den Mother and was active for over 30 years with the Montana Girl Scout Council serving in various positions. In 1972 she went to work at the Ravalli County Federal Credit Union and retired 26 years later as an Assistant CEO and Loan Officer. The Credit Union and its members were like an extended family to her and she enjoyed helping the Credit Union grow while helping the many Ravalli County residents who belonged to the Credit Union. She played a major role in the movement to prevent the State of Montana from using people’s Social Security Numbers as the ID number on Drivers Licenses. Her desire to help meet the needs of children and working mothers led her to assist her daughter and friend establish the Little Bitterrooter’s Daycare in Hamilton in 1974. She held various positions on the Montana Girl Scout Council for 30 years. She worked hard to get Camp Cooney established on land donated decades earlier to a Stevensville Church by the Cooney family, as a Montana Girl Scout Camp for the Girl Scout troops in Ravalli County. On her 80th Birthday her daughter gave her a “Lifetime Girl Scout Membership”. Her hobby as her children finished school and moved on with their lives was genealogy, tracing her husband’s family back to Scotland with 5 Clans and Ireland. She traced her father’s family in Bulgaria contacting family still living there and her mother’s family history in Minnesota. Gena was fiercely proud of her Bulgarian heritage and was happy living as one of the Bitterroots’ “Bohunks”. Virginia was preceded in death by her father Pete Coloff, her mother Myrtle Coloff, an infant son Dana and adult son Craig, a grandson Chris Price and one great grandchild Kooper Perry. Surviving family include her husband, Jim Simmons of Hamilton, daughters Deb Strickland (Linsey) of Hamilton, Anita John (Jeffrey) of Hamilton, sons Doug Simmons (Rebecca) of Hamilton, Eric Simmons (Debora) of Stevensville, her sister Alice Foster of Hamilton and daughter, Leigh Arthur of Phoenix, Sister-in-Law Mary Simmons of Farr West, Utah and daughter Meredith (Stephen) Leatham of Plain City, Utah and Cousin Judy Hustak of Brainerd, Minnesota. Grand Children: Dana Price (Tommy), Nikole Ovadia (Erez), Patrick Simmons, Sarah Glass, Jeni Larson (Brian), Ryan Perry (Kami), Julie John, Rob John, Craig Simmons (Stephanie Couch), Janial Nichols (Eugene) and Andrew Simmons (Nichelle). Great Grandchildren: Eric, Kambrie, Kalia, Kaiya, Kinley, Kade, Kamryn, Keegan, Kylee, Kaptain, Josiah, MacKenzie, Madeline, Evelyn, Sterling, Tessla, Venessa, Hailey, Lindsay, McKinley, McKinzey and Amelia. A memorial service will be held on September 22, 2018, at 11 a.m. at Daly Leach Chapel in Hamilton with a reception following. Private family urn placement will take place at the Corvallis Cemetery. 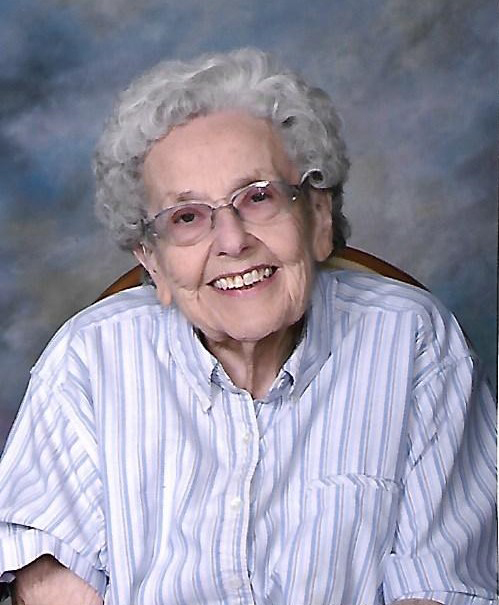 The family would like to thank the staff at Valley View Estates who gave mom such professional care and Partners in Home Health Hospice from Missoula for their professional care in her final hours. In lieu of flowers the family suggests Memorial donations to the Bitter Root Humane Society or a charity of the donor’s choice.